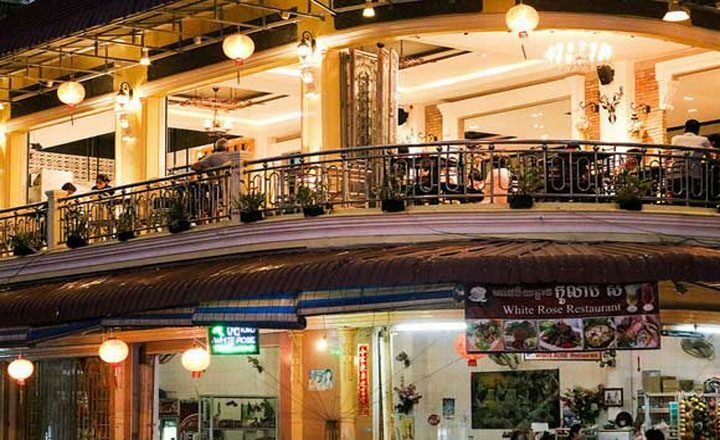 The White Rose is Khmer owned and is located on the corner of St 121 and Road 2.5. 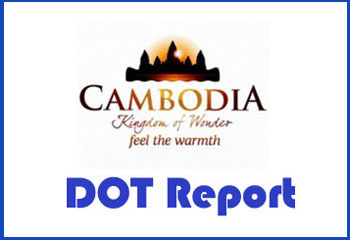 This place serves good Khmer dishes for reasonable prices and some western foods. They also serve some of the best shakes in town. This place has a balcony, patio area which visitors can sit and watch the streets below where vendors sell their wares to those walking the streets. The White Rose also has a nice desert menu and ice cream that reminds me of home. This place also offers free Wi-Fi. When the day starts of here, the place is set nice, with your typical glass, silver ware wrapped in cloth and set up nicely on the tables. I guess when this place gets real busy, the place starts looking neglected due to short of workers and the many things that are going on. To me, I think the place is under staffed and would probably run better if they were up to pace with workers. But besides that, everything else is typical Cambodia so if you don’t mind that, then everything should be good.